LAS VEGAS, NV - DEC. 05: Drivers Jeff Gordon, Dale Earnhardt Jr. and Joey Logano talk during NASCAR After The Lap at the Pearl Palms Concert Theater inside the Palms Casino Hotel on Dec. 5, 2013 in Las Vegas, Nev.
As one of the biggest names in all of sports, Dale Earnhardt Jr. could have pretty much any hobby he would like. Golf, fishing, expensive cars, his choices are pretty much limitless. But how does the leader of ‘Junior Nation’ like to spend his time away from the track and the shop? On eBay, of course. During Thursday’s ‘NASCAR After the Lap’ event, part of Champion’s Week celebrations, Earnhardt Jr. explained his love for the online auction site, where he enjoys buying and selling rare editions of old racing magazines and other memorabilia. Just think, you could have bought that old Stock Car Racing magazine from Dale Jr…imagine the resale value on that baby! While passionate about his hobby, don’t expect to see "DaleJr88" show up anytime soon in the seller information section. With that in mind, the Shake and Bake crew have combed through the volumes of auction material looking for the illusive Bigfoot of eBay sellers. 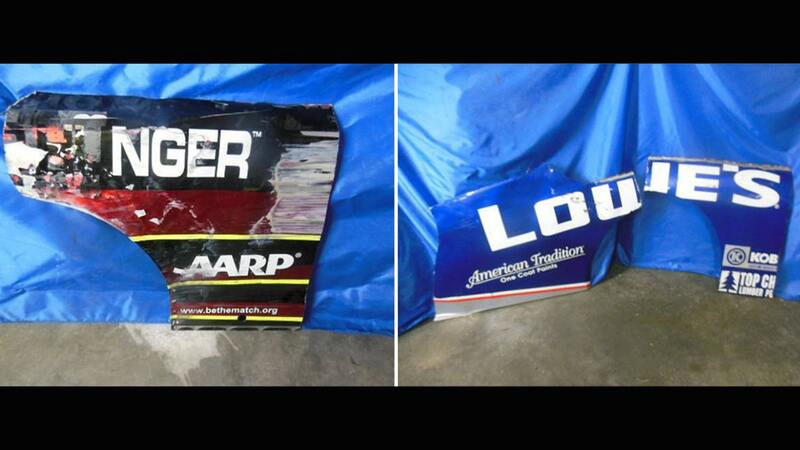 Perhaps Dale Jr. is tired of his teammates getting all the glory and is pawning off some wrecked sheet metal to prove they have bad days too. Maybe it’s off-season cleaning time at JR Motorsports. This Regan Smith crew shirt could make you feel like you’re part of the team. How about this JR Motorsports director’s chair? Just think, Dale Jr. could have not only sat in this seat, he could have sold it to you! For those stocking stuffer ideas, here’s a Brickyard 400 lanyard for the neck. Did it once hold Dale Jr.’s NASCAR Hard Card? We all know Dale Jr. is a businessman on the side with his bar Whiskey River in Charlotte, N.C., and it looks like he apparently needed a place to unload all those Crown Royal bags. Don’t think Dale Jr.’s personal collection is out of reach, either. Check out this special hand decorated Dale Earnhardt Sr. goose egg Christmas ornament.